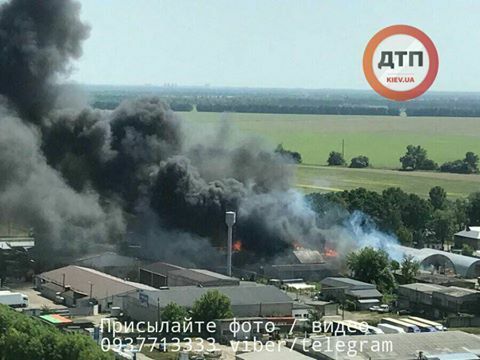 A large-scale fire has broken out outside Kyiv as fuel tanks at a depot in the town of Brovary have caught fire, according to dtp.kiev.ua, a news portal covering car accidents and other emergency situations. The area hit by the fire is several hundred square meters. The adjacent areas are covered by thick black smoke. 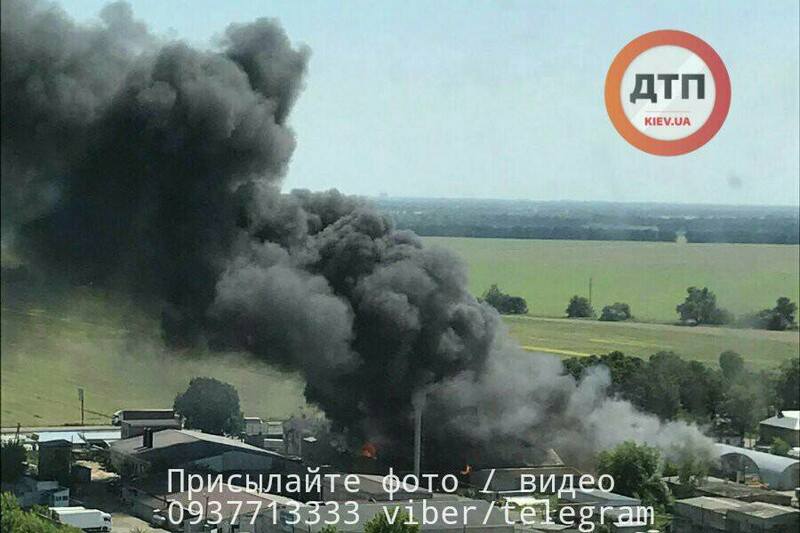 A billow of smoke is visible from Kyiv, dtp.kiev.ua said on Facebook on Monday, June 5. 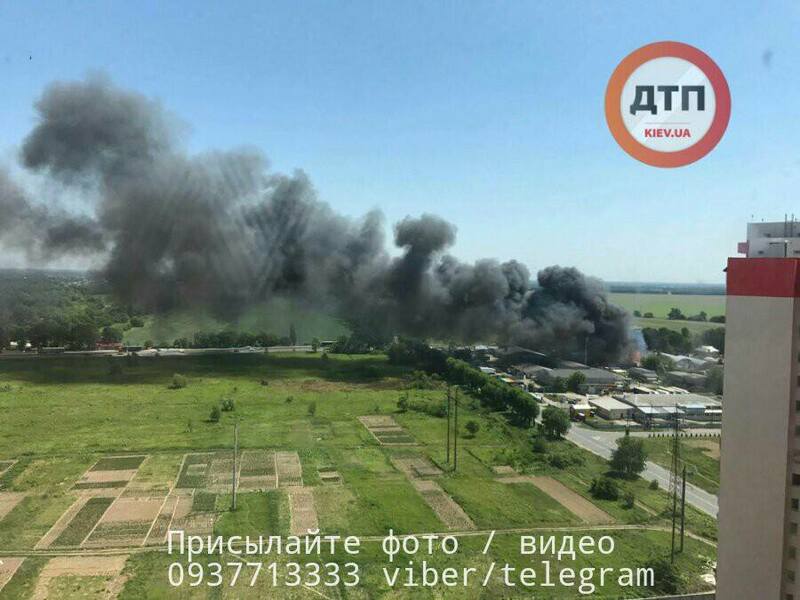 As was reported earlier, an illegal landfill near the village of Rozhny in Kyiv's Brovary district caught fire on June 1. The fire spread across the entire landfill on an area 200 meters to 100 meters. Later that day, the fire covered an area of two hectares.